OMG! 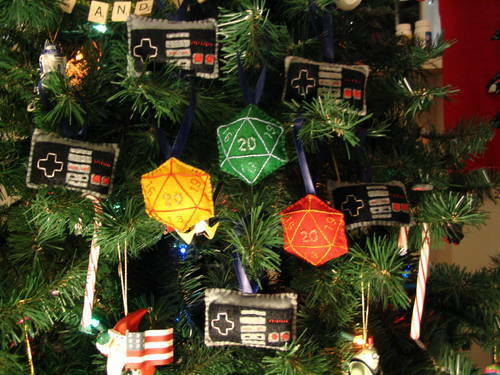 This is just too cool: hand-made Christmas tree ornaments that look like D20s! I really want to make some of these. They are made of felt out of two hexagons sewn together and then stuffed. They’re hand sewn using three different kinds of stitch: oversewing for the edges, chain stitch for the lines (sewn straight from point-to-point) and running-stitch for the numbers, probably with embroidery thread. 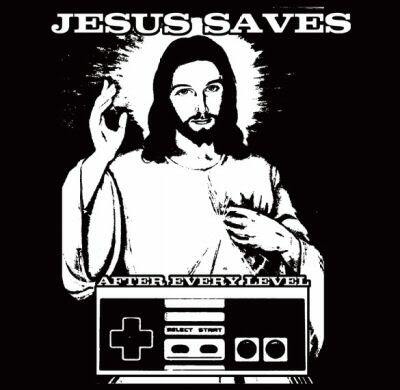 The other decorations are retro-style nintendo controllers (also totally relevant). They’re all made by breemonkey on Craftster.org – here’s the original thread with more pictures.